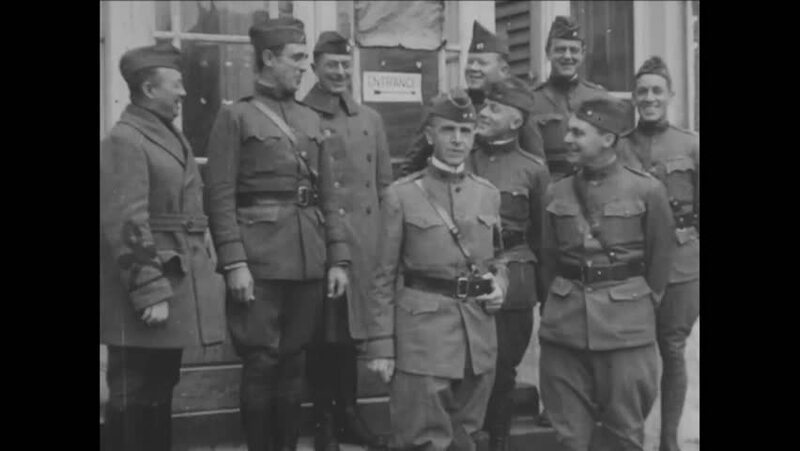 CIRCA 1918 - Generals Dickman and Craig are seen with other soldiers in Neuilly. hd01:36CIRCA 1918 - German POWs wait around and are marched after the St. Mihiel offensive in France, September 10th-25th. hd00:37CIRCA 1918 - American soldiers watch a performance at their base in France. hd01:46CIRCA -1962 - An American soldier stationed in Korea is surprised to meet a higher-ranking officer who speaks excellent Korean. hd00:55An officer speaks and vehicles are driven and soldiers emerge from a camouflage section and saluting and a handshake are shown in France. hd01:01CIRCA 1918 - American troops are gathered in France to hear a rousing speech by Newton Baker, the US Secretary of War.